Ok, first things first. Crimea is legally part of Ukraine and Ukraine is not part of Russia. 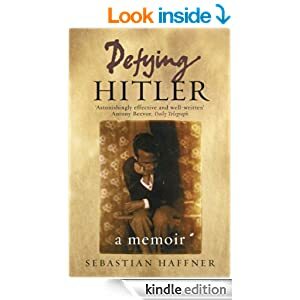 And, speaking as someone who has both just read Sebastian Haffner’s Defying Hitler, a brilliant, blood-chilling contemporary account of the apparently inexorable rise of the Nazis in the 1930s, and had a number of very worrying illiberal conversations with Russians today, I think we really do live in frightening times. Vladimir Putin (a popularly elected leader, one should remember, just as Adolf Hitler was a member of a democratically elected government) is a truly dangerous character, especially when confronted by a fast reducing asset in the shape of his oil reserves and – for the moment at least – potentially highly damaging sanctions. The general economic and civil rights appeal for Russia’s neighbours of leaning towards Europe rather than Moscow is convincingly described in this Forbes post by Vasil Jaiani. But… as I discovered after talking to a fair few of them, there are plenty of Crimean winemakers who can see a lot of advantages to being part of Russia today rather than a European-focused Ukraine. Before waxing too lyrical about the prospects being part of the EU have to offer to producers in Eastern Europe, just look at the flood of premium Bulgarian, Hungarian and Romanian imports that have (not) made their way onto UK shelves for example. Conversely read this considered Academy of Wine Business report on Romania, a 2007 EU entrant, by Cheryl Nakata and Erin Antalis of the University of Illinois at Chicago. Membership of the EU has, the authors say, “provided funds for promoting Romanian wines abroad, and introduced regulations so more of the wines are safe to consume and exportable… and [ferreted out] questionable producers or practices”. But they also talk of the remaining “negative image” of Romanian wine in Western Europe, this country’s chief export market. They quote a producer saying “…Romania is selling, like I said, a bad image… We are in the bottom of the list, we are from the edge—we and Bulgaria”. For Nakata and Antalis, Romania’s wine industry needs to “Enter into export markets where [it] has a positive to neutral country image, and move away from countries where it has a country of origin liability, notably Western Europe”. So, whatever your feelings about the politics of the Russia/Ukraine situation (and I’ve laid mine out above), maybe you should try wearing the shoes of a winemaker in Crimea. The mood of the producers I met at a tasting in Abrau Durso in Anapa, Russia this weekend was very similar to the one Andrew Jefford described in his March 2014 Decanter piece after his visit to the region. The dice have already been further loaded by the promise of substantial investment into the industry from Russia. Roughly half of Crimean wineries are probably already owned by Russians and both that country’s wine producers’ association and government have now declared an ambition to move towards 80% self-sufficiency in wine production. Ironically this keenness to welcome Crimea (and possibly other Ukrainian vineyards) into a greater Russian industry is not entirely welcome in Russia itself. At Grand Vostock, a good French-Russian joint venture started in 2003, director Elena Denisova openly questioned why the adopted children (the Crimean winemakers) would be getting better treatment than longer-established producers in undeniably Russian regions like Krasnodar. Ms Denisova also raised the question of how much ‘Ukranian’ wine is actually produced from grapes grown elsewhere (an interesting subject to raise in Russia which has its own traditions of this kind). And then there are Russia’s other neighbours, some of which currently rely on Russia for their sales. Georgia, while selling more bottles to Russia than ever since the reopening by Putin of the market to their wines, is sensibly making efforts to build other export markets (efforts with which – to declare an interest, I am beginning to help). But there is no denying the challenge this represents. Georgia’s task, however, looks positively tiny when compared to Moldova’s. This ancient wine region has great winemaking potential but today it’s impoverished and struggling. Like Georgia, it has lived through a boycott of its wines and knows that if Vlad the Imposer gets out of bed on the wrong side, that door could slam closed again. As Jaiani says in his Forbes piece, it may well be preferable in many ways for Moldova to achieve its aim of becoming part of Europe, but I’ll bet that there are a few winemakers in that country who might well be looking at the short term prospects enjoyed by their Crimean neighbours with at least a note of envy. Robert, I do agree with many things you speak about here, but there are few things I would like to add to it. Crimea used to be a part of Russia and the majority of the people leaving there just loves it to be a part of Russia once again. I have never supported the annexation, but let's leave politics aside. Most of the people in Crimea think they will benefit of what has happened. In the short term they will, certainly. The pensions have already become higher now, BUT look what all that has done to Russian economy! Euro used to be 38 Rubles and now it's 52! Most of the people I know in Moscow have cut their budget for wine with 50%. They are not buying less expensive wine, they are buying less wine. So it will not help cheap wine producers, because real wine lovers wouldn't switch to the not-so-good-wines. They are drinking less of what they think is good quality wine. This is to say that I very much doubt the possibility of a positive turnout from the grand expectations of Crimean wine producers about becoming “Russian”. They will soon face the consequences and I doubt they'll enjoy them as they think they would… Can’t tell you how much do I want to be mistaken! Thank you very much for your long, considered comment. And, even as an outsider armed with much less than hOlding the necessary information, I agree with all of it. I think that what is happening in Russia and Ukraine today is very dangerous. And yes you ate right about the existence of a Russian licence system that's similar to the one in Ukraine. Russia and Ukraine both have their own collections of unlicensed “garagiste” producers. I doubt the Crimeans will necessarily fare better within the Russian system. All I was trying to do was attract some attention to a situation that I'm sure noone understands. During the last 4 years I have been quite often in Moscow, and in 2001 I have been in Novosibirsk. In Ukraine I have been only once. Can't say I know much about Ukraine, but much more about Russia. Bureaucracy is a nightmare and corruption in business and state authorities is SOP. Putin continued to act just like his Stalinist forefathers did, and like Jelzin did in Moldava/Transnistria. Not that politicians of Moldova are much better or less corrupt than Ukrainians or Russians, but due to the fact that they are close to Romania, and have access to the Danube river as a means of transport, there is at least a chance for Moldavian wines in the EU. For Crimean wines the prospects have been worse from the very beginning. Thank you for that comment. Your point about the Danube is well made.